Dr. Andrew Dinan, who teaches classical languages here at AMU, not long ago helped lead a group of classics majors on a trip to Rome. As you can imagine, they spent a lot of time reading Latin inscriptions around the Eternal City. Indulgences also can be, and sometimes are, granted even for purely spiritual things. 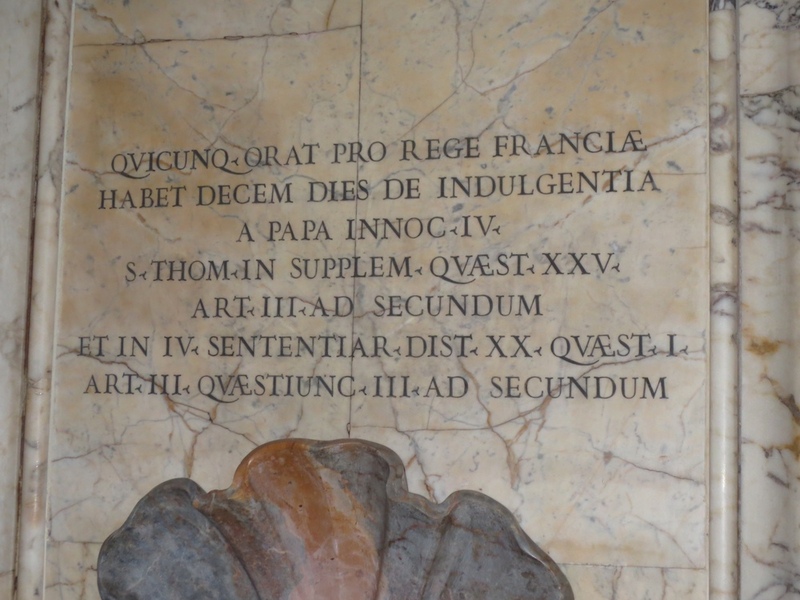 Thus Pope Innocent IV granted an indulgence of ten days to all who prayed for the king of France. And similarly whoever preaches a crusade or takes part in a crusade is granted the same indulgence. The text from the Supplementum, being lifted from the Sentences commentary, is the same text.